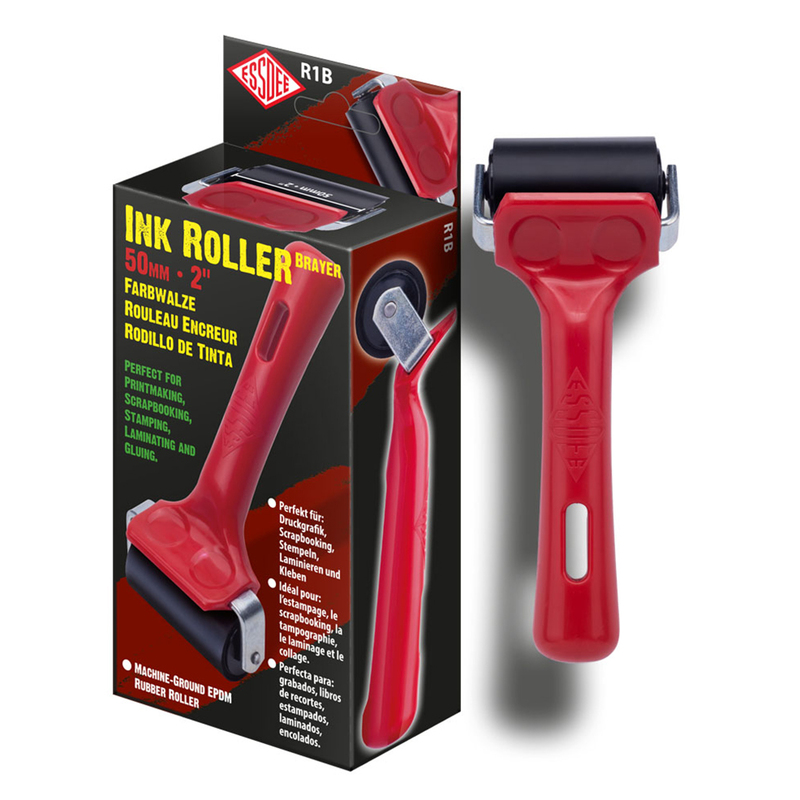 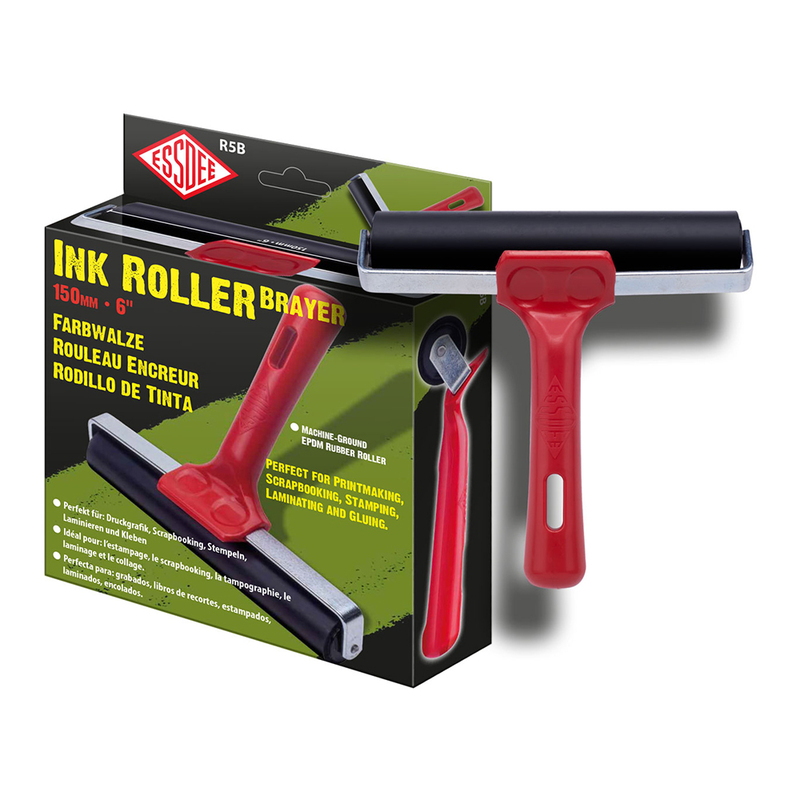 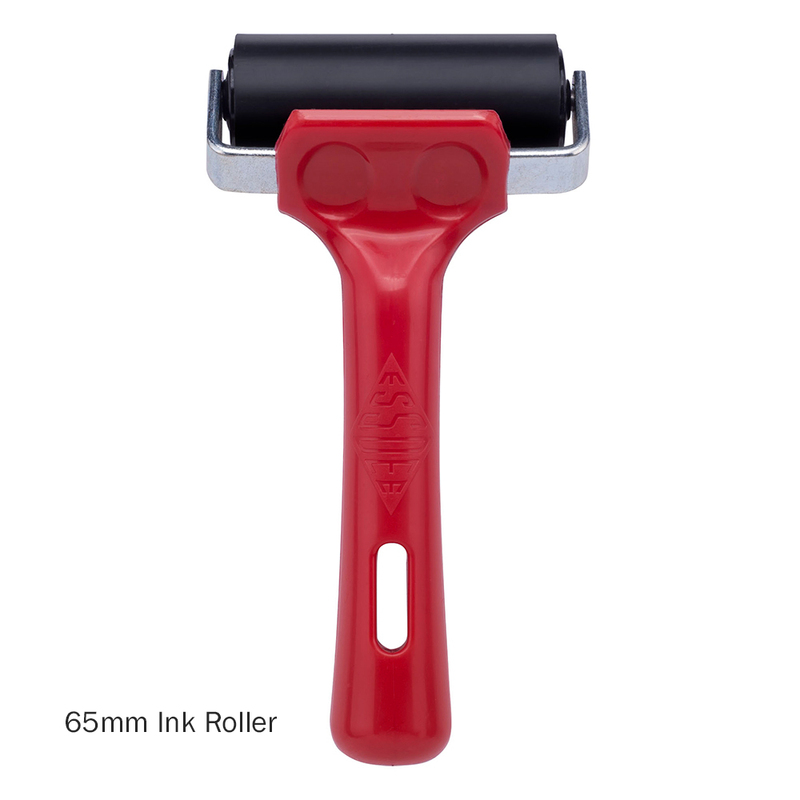 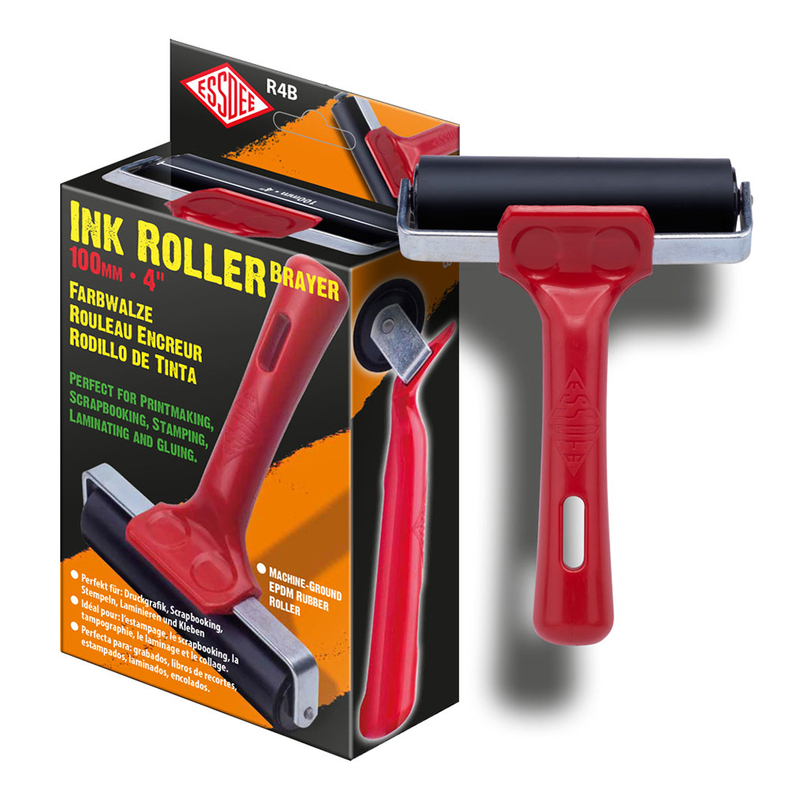 These sturdy ink rollers are perfect for many art and craft techniques like printmaking, scrapbooking, stamping, laminating, gluing and even the application of window films and vehicle graphics. 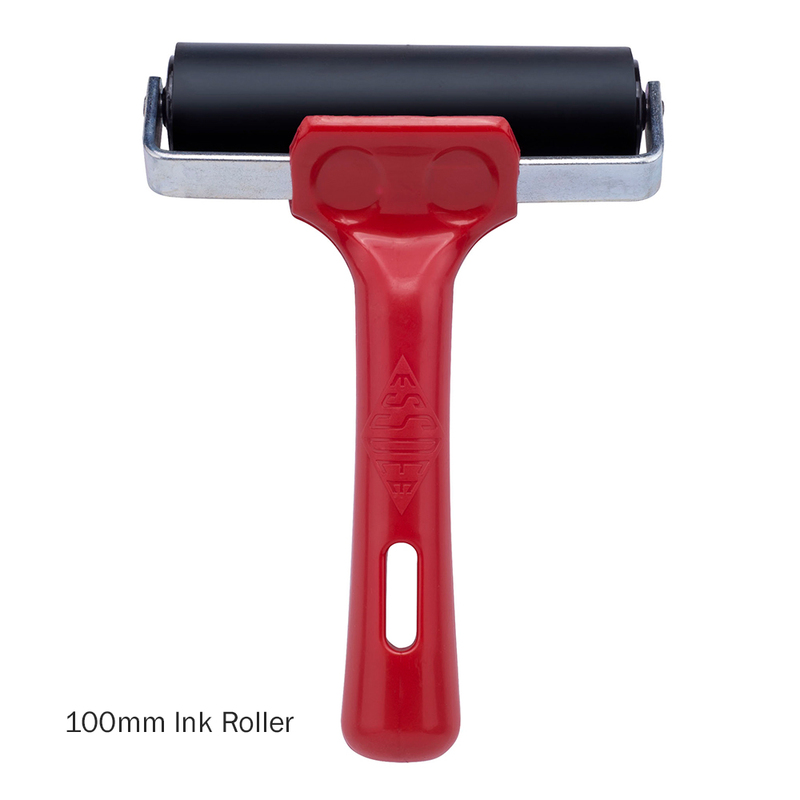 They have a perfectly concentric, machine-ground, EPDM rubber roller surface at 70 shore hardness that gives excellent pickup and deposit of all types of ink. They benefit from a sturdy construction with an aluminium roller core, a continuous steel shaft, self-lubricating nylon bearings, steel brackets and a tough polypropylene handle with a hanging slot. The roller is designed so that it can be turned over when wet with the handle doubling as a stand for cleaner working. 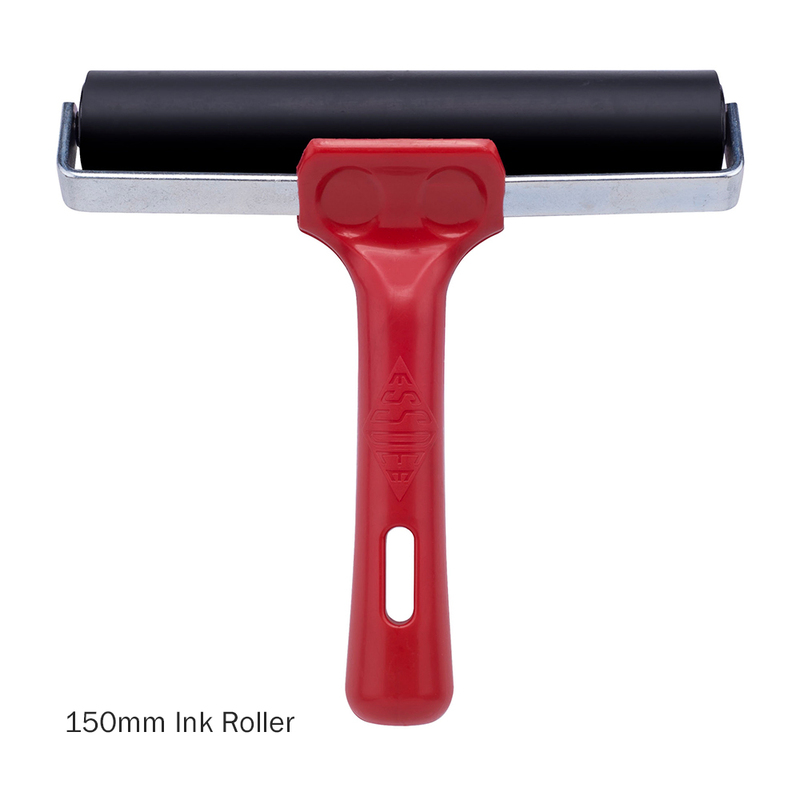 Suitable for use with both water based and oil based ink, and also resistant to solvents. 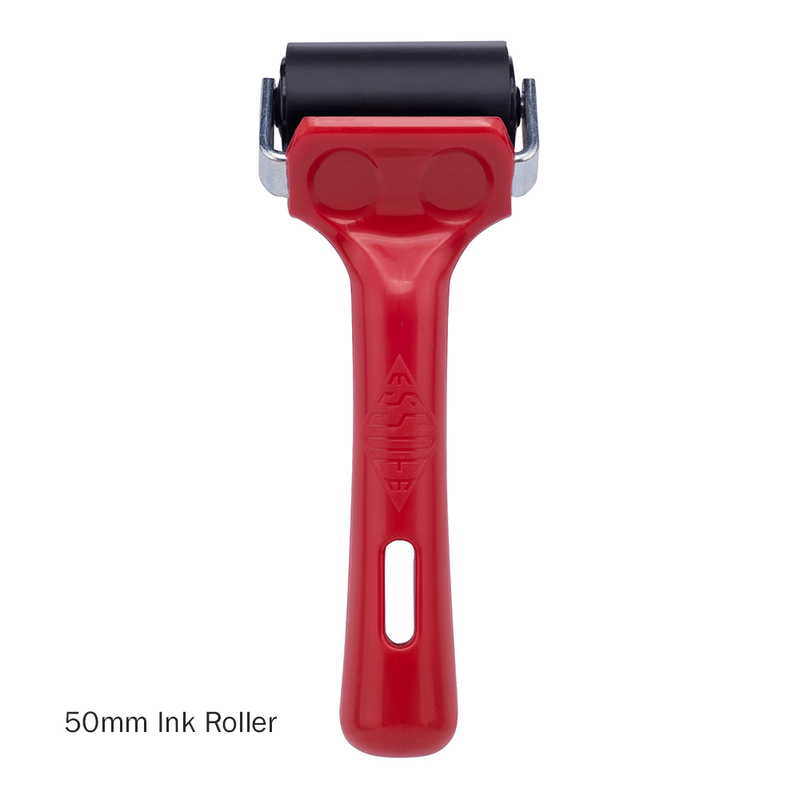 This is a hard-wearing and versatile tool.